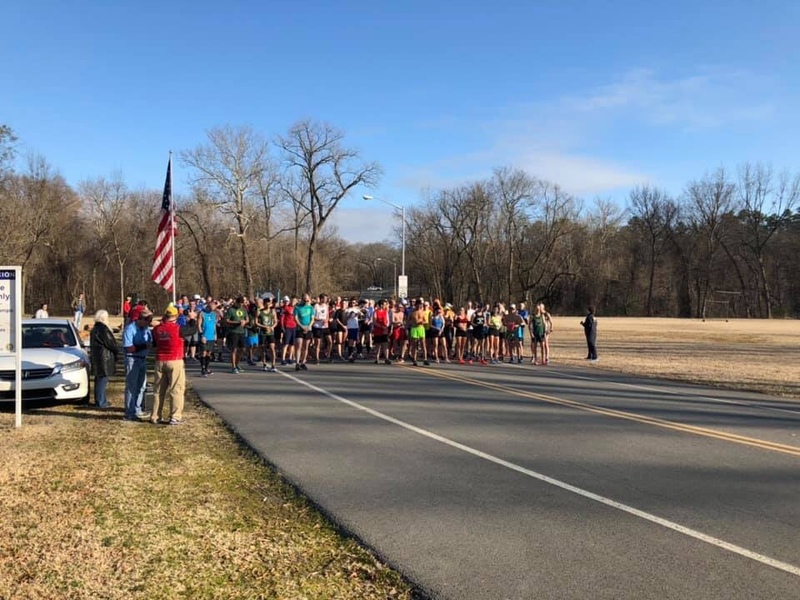 The 15k is not the most popular distance to race but it’s become one of my favorites. 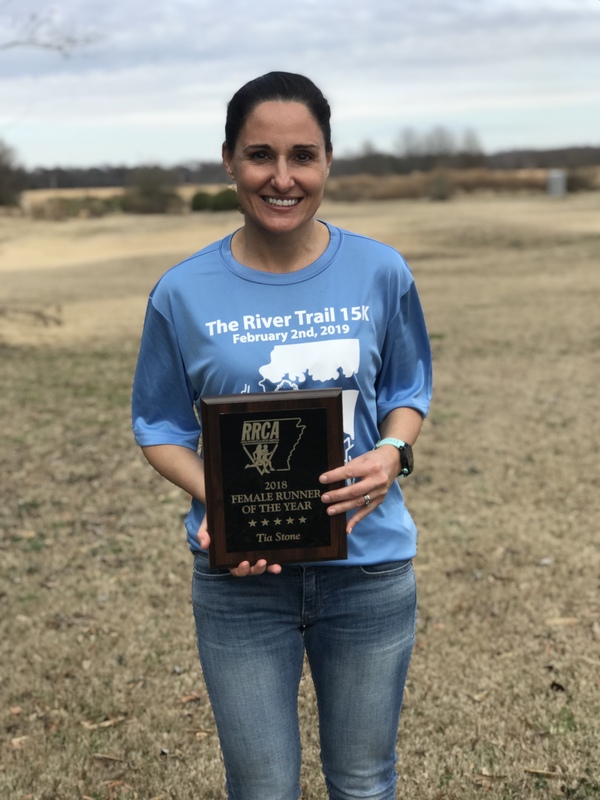 To my knowledge we only have one certified 15k course in the state and it’s held on the first Saturday of February on the Arkansas River Trail. Once I find a race that I like it’s hard for me to pass it up and this is one of those races. The first time I ran it was in February of 2012 and I’ve been back every year since! This year I had few race goals in mind with the main one being to set the state masters record. Of all the masters records this one is the oldest. Not the hardest to reach- just the oldest. I’m guessing that has a lot to do with the fact that there’s only one 15k opportunity a year which really narrows the playing field! The record was held but Joyce Taylor from 1988. 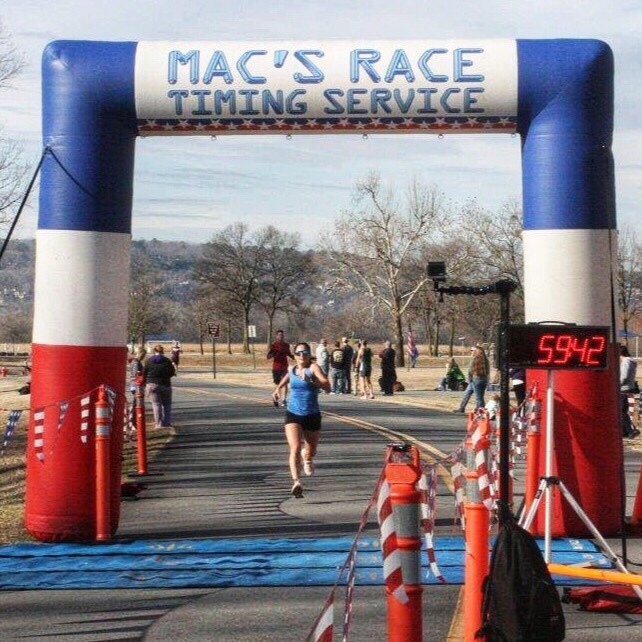 That year she ran the 15k in 1:00:18. I actually know Joyce- she’s the elite coordinator for the Little Rock Marathon and such a sweet lady! I really wanted to break the record and go sub 60. If things were going well my goal was to run in the 58-59 range but a lot would depend on weather and how I was feeling. The night before the race I was prepping for the RRCA Awards lunch which was to be held after the 15k. 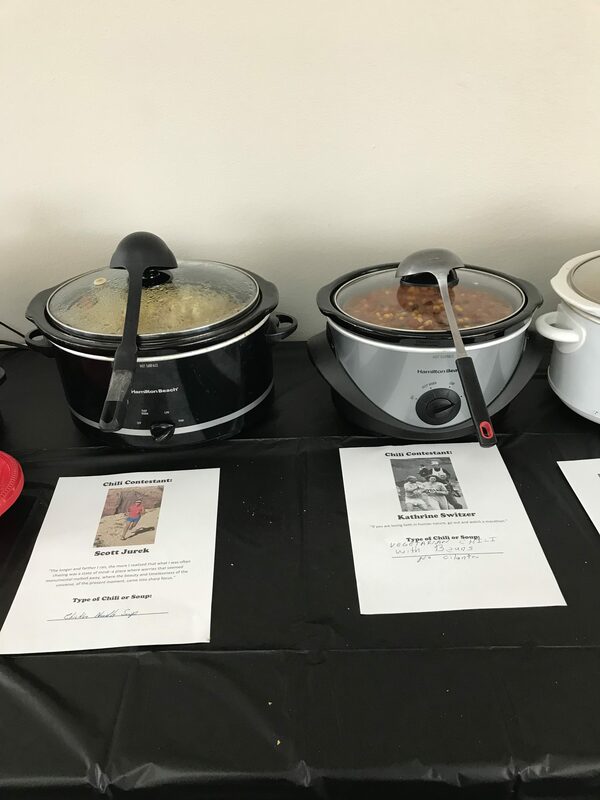 I’m on the Arkansas long distance running committee and was helping organize the chili cook-off we were having. I did all the prep work leading up to the race- shopped Thursday night for the paper products and cooked Friday night. I quadrupled a brownie mix (first time to do that) for a huge batch of brownies and then tripled a strawberry cake mix for a giant strawberry sheet cake. The dessert was the easy part. Then I made two different kinds of potato soup- one was regular (with bacon) and the other was vegetarian. This was actually the first time I’ve ever intentionally made a vegetarian dish so it was interesting. Saturday morning I got everything loaded in the car- including two crockpots so I could warm the soups while I raced. Fortunately, the timing company had an extra generator because the electrical outlets I was counting on at registration were unavailable. 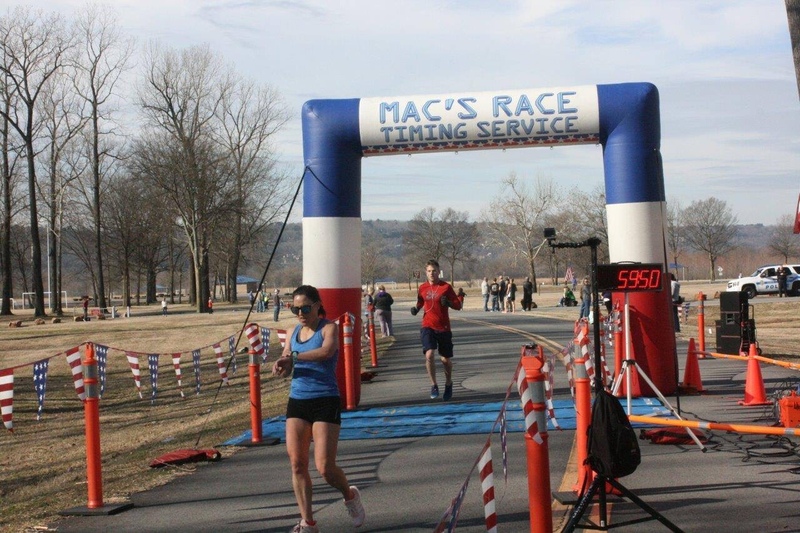 So I plugged in my two crockpots right by the finish line and then I started my warm-up! When I saw my race competition I was really nervous! 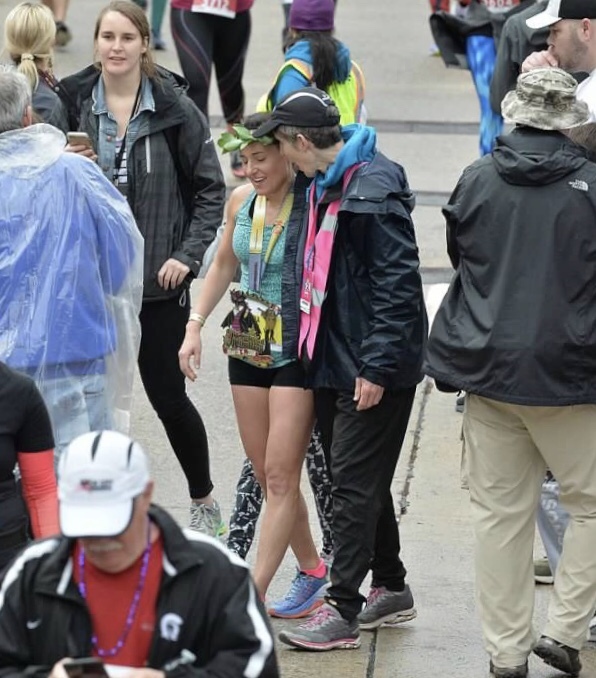 Leah, a former professional runner and local elite was there. 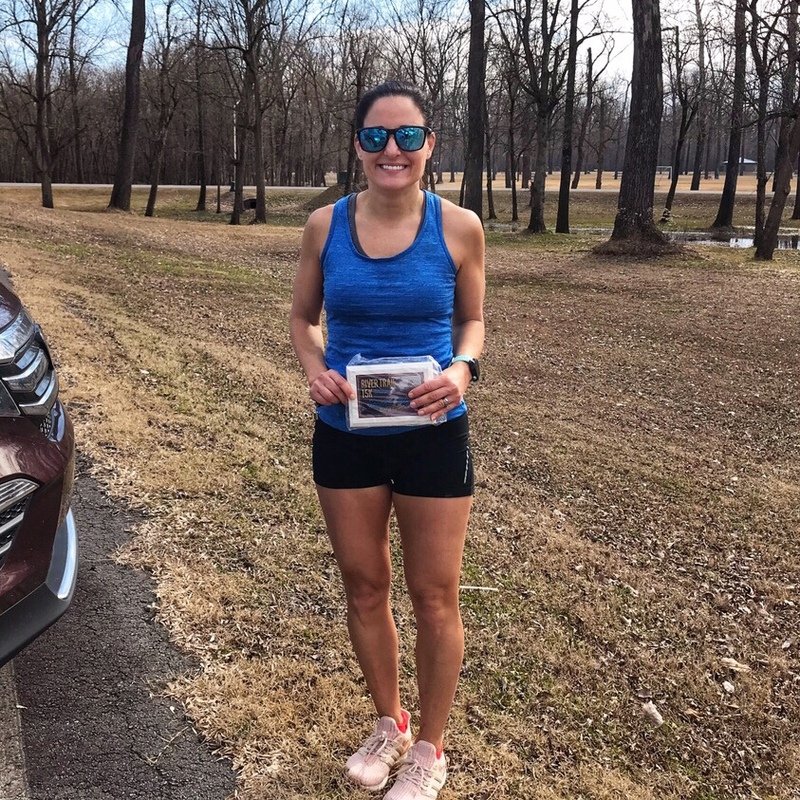 She holds the current overall state 15k record (53:51) back from when she was a professional runner. 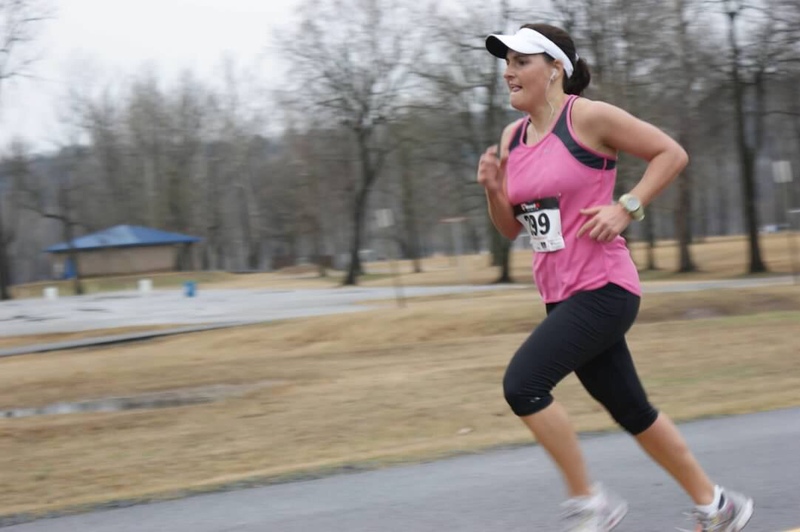 She just turned 40 last month and I had no idea what she would run as a new masters runner. She’s a professional cyclist now but still running so obviously very fit and would be great competition- if I could even stay with her. If setting the Masters record was not going to happen I could still shoot for a PR or sub 60. I wanted to run a good race and try. From the moment the gun went off I was the second female. 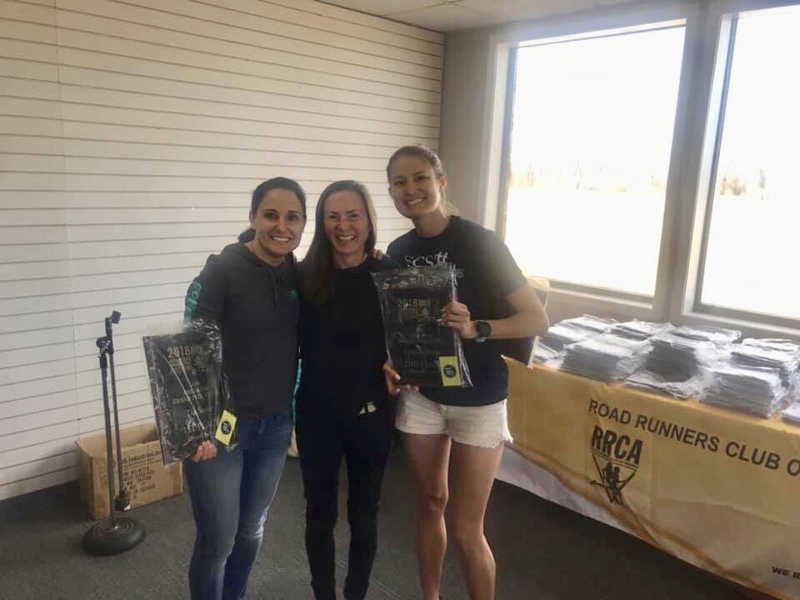 First place was actually a younger runner (early 20’s) who had just moved to AR and it was the first time I’d run with her. She was keeping a good pace and slowly spreading the gap between us. I could not keep up with her and needed to focus on my pace. I had no idea how much a lead I had on Leah was but I kept telling myself she was right behind me so I had to keep moving forward! My pace plan was to start around 6:20-6:30 range and then keep the rest under 6:20. The plan was going great until Mile 6 and from that point on I was just trying to hold on each mile. 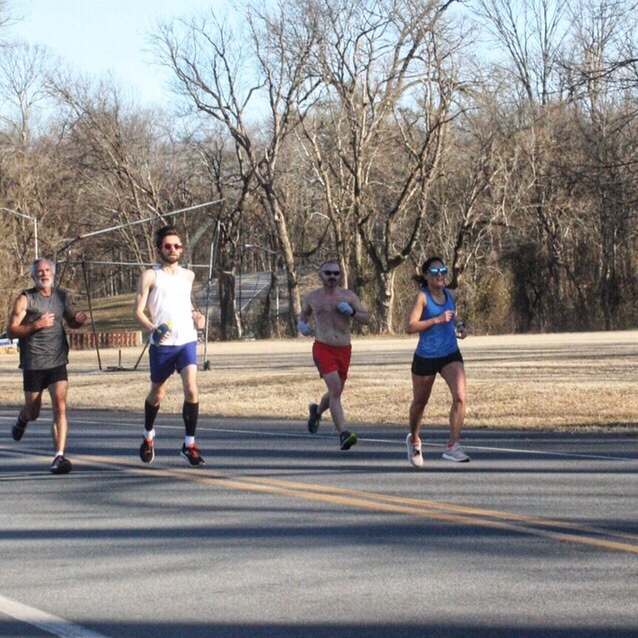 My overall pace was slipping and I knew it was going to be close. I could not afford to fall apart in the last mile. When we made the final turn I could see the clock. Not my fastest time but I made it!! 2nd FOA/ 1st Masters/ *New State Masters Record! I talked for a minute to the overall winner (57:54) and then saw Leah come in (1:02:05) and we talked. 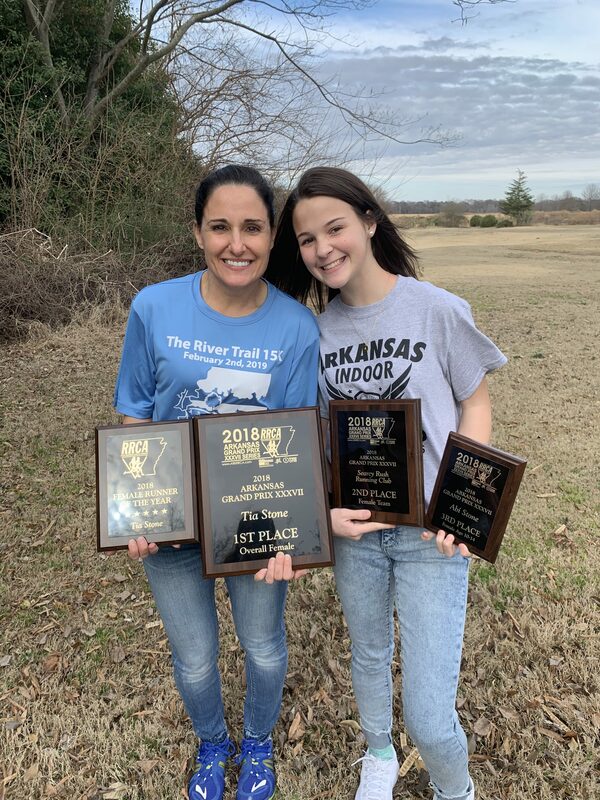 She has always been a huge inspiration to me sibce I started running in the Arkansas Grand Prix and it was fun (albeit intimidating) to have her back. I know I always perform better with competition. 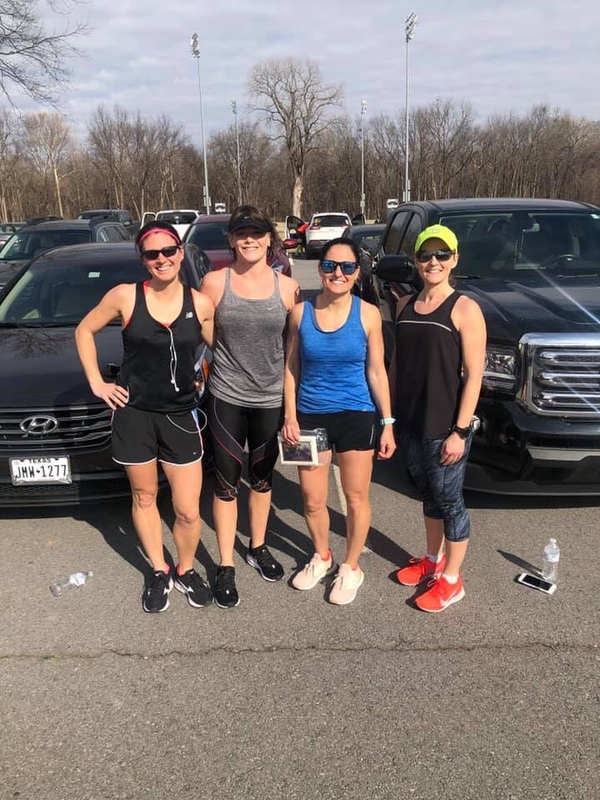 After the race I cooled down a few miles with my Searcy Rush teammates and then jogged back over to the finish line to pick up my crockpots. I texted John and my coach to let them know about the race. I was so happy and relieved I’d made my goal! Then it was time for the Arkansas Grand Prix Awards and lunch. 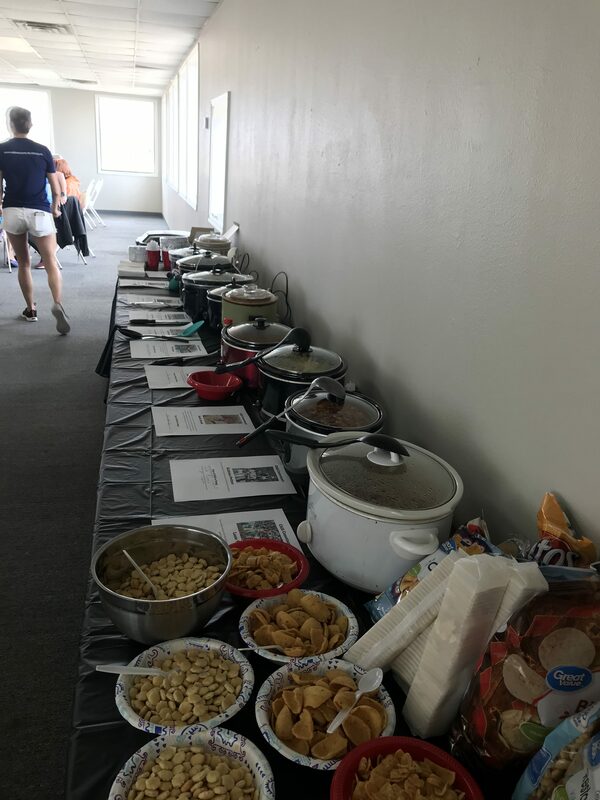 We had several others bring soup or chili and there was plenty to eat. 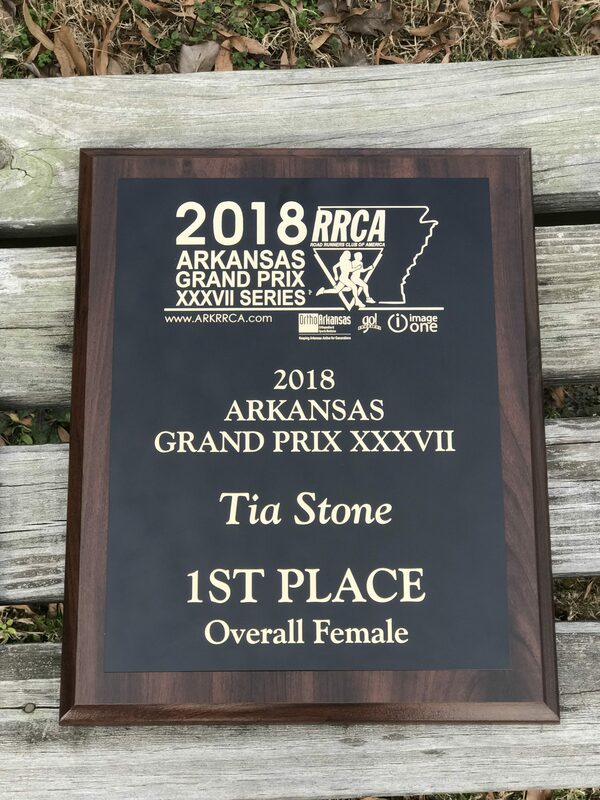 The highlight of the awards ceremony was being named the Arkansas RRCA Female Runner of the Year. I’m incredibly thankful for the ability to run and the opportunities I’ve had over the years through running. It was a long day but a very good one! Abi was able to meet up with me there after her indoor track meet so I had company on the way home. 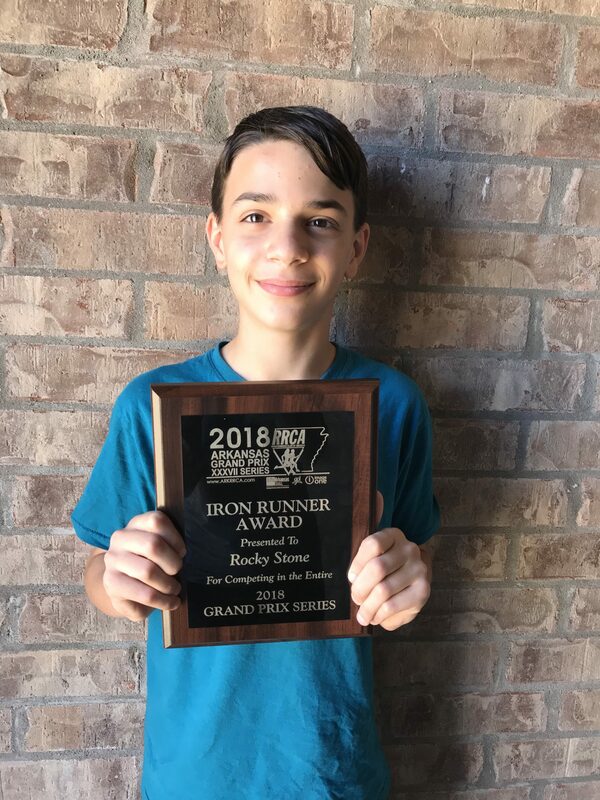 She won an overall Grand Prix age group award and then we picked up Anthony’s Iron Runner Award. So proud of them both! I’m loving these master’s records recaps! So cool to have another goal to shoot for. Great job breaking another record!